This Friday Hyperion will release a new album consisting entirely of piano music by Manuel de Falla played by Garrick Ohlsson. I have been following Ohlsson in concert performances for several years, and I have been impressed by the breadth of his repertoire, particularly when I encountered him participating in a lecture-demonstration about the music of Ferruccio Busoni. Falla’s piano music occupies only a modest portion of his catalog, but that is no excuse for it getting relatively little attention. For those unable to hold back their curiosity, Amazon.com has engaged the usual practice of taking pre-orders. To be fair, however, original compositions for solo piano account for only a portion of Ohlsson’s album. The tracks likely to be most familiar to listeners will be the composer’s arrangements of music from two of his best known works for the stage, El amor brujo (love, the magician) and The Three-Cornered Hat. The principal work composed for solo piano is the “Fantasia Bética” (“Baetis” being the Roman name for Andalusia), written for and dedicated to Arthur Rubinstein. Sadly, Rubinstein abandoned it after only a few performances, declaring it to be too long (this coming from a pianist who never seemed to have much trouble with the longueurs of Franz Liszt)! The fact is that Falla has no trouble being an engaging composer whether he is working at durations “too long for Rubinstein” (“Fantasia Bética” is less than a quarter hour in duration) or working on the scale of a few minutes, as in the arrangements of his music for the stage. Given that we shall be recognizing the 100th anniversary of the death of Claude Debussy at the end of this month, I thought it was particularly appropriate for Ohlsson to select Falla’s “Pour le tombeau de Claude Debussy,” originally written for guitar and then arranged for piano. Falla even included a quote from one of those passages in Debussy’s music where the composer was trying to “be Spanish.” Then of course there is Falla’s piano arrangement of the “Song of the Volga boatmen,” presumably composed just because he liked the tune! As albums of keyboard music go, this may not be the most profound in the pack; but there are any number of ways to enjoy the delights that Ohlsson has decided to bring to his listeners’ attention. Almost as adventurous will be the concerto selection on the program. This will be the last concerto written by Dmitri Shostakovich, his Opus 129 (second) violin concerto in C-sharp minor. Shostakovich may have chosen this key because it had been the key of Sergei Prokofiev’s final (seventh) symphony, his Opus 131. Prokofiev, in turn, may have chosen the key because it was the key of another Opus 131, one of Ludwig van Beethoven’s “late period” string quartets. In addition, given Shostakovich’s appreciation for the music of Gustav Mahler, it is worth noting that C-sharp minor is the key of Mahler’s fifth symphony. 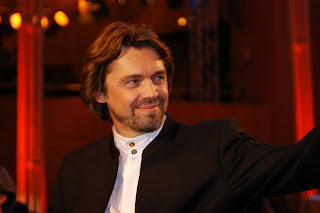 The concerto soloist for Heras-Casado with be SFS Concertmaster Alexander Barantschik, whose personal repertoire generously accommodates all of these composers. The second half of the program will then settle back into the familiar with a performance of Johannes Brahms’ Opus 68 (first) symphony in the less remote key of C minor. This concert will be given three performances in Davies, all at 8 p.m. on Thursday, March 1, Friday, March 2, and Saturday, March 3. Ticket prices range from $30 to $99. They may be purchased online through the event page for this program on the SFS Web site, by calling 415-864-6000, or by visiting the Davies Box Office, whose entrance is on the south side of Grove Street between Van Ness Avenue and Franklin Street. In addition, the event page has a free podcast about the Brahms symphony hosted by KDFC’s Rik Malone, as well as sound clips from previous SFS performances of that symphony. Flash must be enabled to listen to both the podcast and the sound clips. Finally, the Inside Music talk will be given by Elizabeth Seitz, beginning half an hour before the performance. Doors will open fifteen minutes before the talk begins. 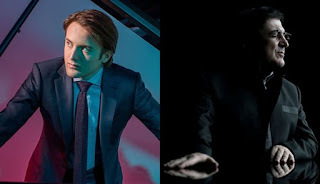 Last night in Davies Symphony Hall, Russian pianist Daniil Trifonov continued his season-long residency with the San Francisco Symphony by giving his second recital. The first was the solo performance he gave in the Great Performers Series this past October. Last night he was joined by pianist Sergei Babayan in a program consisting entirely of music for two pianos. The second half of that program was devoted to the two four-movement suites that Sergei Rachmaninoff composed for two pianos, played in chronological order. The earlier of these, Opus 5, was completed in 1893, not long after Rachmaninoff graduated from the Moscow Conservatory, where his teacher in free composition was Anton Arensky, who had studied with Nikolai Rimsky-Korsakov at the Saint Petersburg Conservatory but was more strongly influenced by the music of Pyotr Ilyich Tchaikovsky. 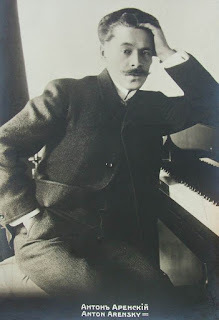 (It was at the Moscow Conservatory that Rachmaninoff met Alexander Scriabin, and the two formed a close friendship that would last until Scriabin’s death in 1915.) The second suite, Opus 17, was completed in 1901, the year in which Rachmaninoff gave the first performance of his Opus 18 (second) piano concerto in C minor. Two-piano recitals do not take place very often. However, those who seek them out are likely to have had several encounters with Opus 17. My first was a performance by Daniel Barenboim and Martha Argerich in Paris. As is often the case, this was one of those “all-star” events in which the personalities tended to overshadow the music. Babayan, on the other hand, was Trifonov’s teacher at the Cleveland Institute of Music. As a result, last night could not have been a better example of when the music takes priority over the players. Each movement takes a familiar form (march, waltz, romance, tarantella) as a point of departure. However, Rachmaninoff was never one to shy away from embellishments that are almost (but not quite) thick enough to overshadow the thematic material; and, with two pianos at his disposal, those embellishments became even thicker. Nevertheless, both Babayan and Trifonov had a clear sense of where the thematic notes were in those clouds of embellishment; and both of them consistently established a clear relationship between foreground and background. This was clearly the work of two highly disciplined pianists; but it never short-changed the intense expressiveness that swirls around all those embellishments. Opus 5, on the other hand, was dominated less by form and more by subjective impressions. 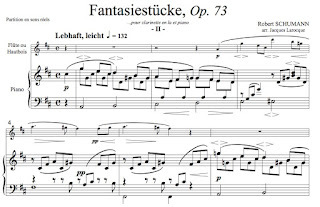 The original title was Fantasie (Tableaux); and Rachmaninoff himself described the piece as “a series of musical pictures” (English translation taken from Max Harrison’s biography of Rachmaninoff). The first movement is a barcarolle, followed by what might be called “a night of love.” Love is then followed by tears in the third movement, which give way to a joyous celebration of Easter. The overall rhetoric of these four pieces is more direct than what is encountered in Opus 17; but Babayan and Trifonov still knew how to endow this music with just the right level of expressiveness, attentively shaping every phrase around the “vision” of its respective movement without succumbing to excessiveness. Only in the final movement did Babayan seem to lose track of bringing the Easter hymn (the same one Rimsky-Korsakov quoted in his “Russian Easter” overture) into the foreground; however, Trifonov more than effectively compensated for this lapse when it was his turn to take that theme. The first half of the program had less of an overall structure beyond visiting the two-piano literature from three centuries. Wolfgang Amadeus Mozart was there with his K. 448 sonata for two pianos in D major. The nineteenth century was represented by Robert Schumann’s Opus 46 set of variations on an Andante theme. The most recent work on the program was the 1980 revision of Arvo Pärt’s “Pari intervallo.” The original version gave no specification of instrumentation and was one of the first instances of Pärt’s tintinnabuli style. The version for two pianos was published in 2008. Of these three selections the Mozart was the most entertaining, since it was a delightful instance of give-and-take between two pianists, both capable of invoking the flames of invention even when reading from printed pages. The Pärt offering was the most compelling, since both Babayan and Trifonov could not have been more sensitive to the impact of even the slightest sound in a prevailing silence. Only the Schumann selection was weak, but at least some of that weakness could probably be attributed to the composer venturing into a genre in which he was not particularly comfortable. The encore selection was the “Dance of the Skomorokhi” (tumblers or clowns) from Rimsky-Korsakov's opera The Snow Maiden. This is one of those orchestral excerpts that always makes for a lively encore. 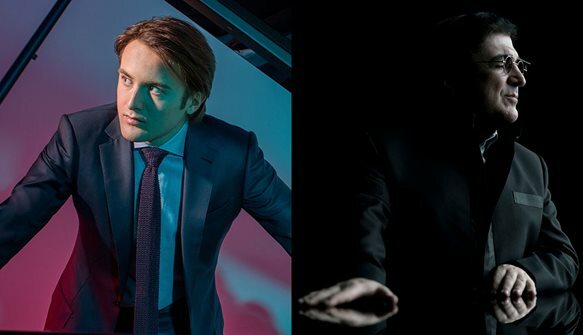 Last night the account, arranged for two pianos by Vitya Vronsky and Victor Babin, was just as lively when interpreted by Babayan and Trifonov. At the end of next month, the San Francisco Symphony (SFS) and Music Director Michael Tilson Thomas will embark on a short tour of Southern California that will take in three cities: Los Angeles (March 27 at the Walt Disney Concert Hall), Santa Barbara (March 28, at the Granada Theatre), and Costa Mesa (March 29 at the Renée and Henry Segerstrom Concert Hall). The programming for all three of these concerts will be the same, presenting two iconic works from the first half of the twentieth century. Violinist Gil Shaham will be soloist in a performance of Alban Berg’s violin concerto, which will be followed by Gustav Mahler’s fifth symphony in C-sharp minor. 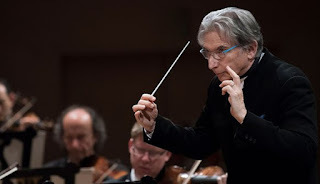 As has been the case in the past, this same program will be given “preview” performances in Davies Symphony Hall as the final subscription offerings for the month of March. At those performances the Berg concerto will be recorded for future release on SFS Media. This concert will be given four performances in Davies, at 8 p.m. on Thursday, March 22, Friday, March 23, and Saturday, March 24, and at 2 p.m. on Sunday, March 25. Ticket prices range from $39 to $159. They may be purchased online through the event page for this program on the SFS Web site, by calling 415-864-6000, or by visiting the Davies Box Office, whose entrance is on the south side of Grove Street between Van Ness Avenue and Franklin Street. In addition, the event page has a free podcast about the Mahler symphony hosted by KDFC’s Rik Malone, as well as sound clips from previous SFS performances of both selections on the program. Flash must be enabled to listen to both the podcast and the sound clips. Finally, the Inside Music talk will be given by Scott Foglesong, beginning half an hour before the performance. Doors will open fifteen minutes before the talk begins. Saturday, March 3, 8 p.m., The Lab: This will be an evening of two improvised sets. John Krausbauer and Kaori Suzuki will present an improvised composition for voices, amplified strings, electronics, and bells. There is a spiritual dimension to their work, whose rhetoric draws upon drones and other instances of sustained durations. The opening set will offer improvisations by Maggie Payne. Sunday, March 4, 4 p.m., Old First Presbyterian Church: Trio Foss is a piano trio recently formed by violinist Hrabba Atladottir, cellist Nina Flyer, and pianist Joseph Irrera. This will be their debut in the Old First Concerts series. The major work on the program will be Dmitri Shostakovich’s Opus 67 (second) piano trio in E minor. During the first half of the program, they will play a collection of short pieces that Bohuslav Martinů entitled Bergerettes and Ludwig van Beethoven’s Opus 11 trio in B-flat major, whose upper voice was originally composed for clarinet, rather than violin. Sunday, March 4, 7:30 p.m., Musicians Union Hall: This will be the next concert in the Static Illusion Methodical Madness (SIMM) Series offered by Outsound Presents. The evening will consist of the usual format of two sets of inventive composition work. The first set will be a solo piano performance by Brett Caron. He will be followed by the latest presentation of the music of bass player Bill Noertker performed by his group, Noertker’s Moxie. Noertker will be joined by Annelise Zamula on alto saxophone, Joshua Marshall on tenor saxophone, and Daniel Pearce on drums. The Musicians Union Hall is located at 116 9th Street, near the corner of Mission Street. Admission will be on a sliding scale between $10 and $20. I did not learn about the death of Norman Tyler Larson on February 20 until my wife showed me the obituary in yesterday’s San Francisco Chronicle. Norm and I were probably aware of each other’s presence for many years before he finally broke the ice several years ago during the intermission of a Voices of Music concert. Mostly he wanted to share thoughts on where the acoustics were most favorable in St. Mark’s Lutheran Church. I am not sure how aware he was of my writing, but I think he knew that I did write and preferred to keep my thoughts about the music to myself until they had been committed to text. As a result, we never really had an extended conversation until about a year ago at the Annual Gala held by Philharmonia Baroque Orchestra (PBO). That was when my wife Linda and I first learned of his rich background in any number of different areas, and he first invited us to check out his house at the corner of Haight and Ashbury. It took us more than half a year to make good on that invitation, but the visit was unforgettable. We even chatted a bit about how one of the rooms might serve as a venue for a small chamber music group. Prior to going over to this year’s PBO Gala, Linda and I spoke of looking forward to another long conversation with Norm. It did not happen, and yesterday morning we learned why. I knew of Norm’s strong commitment to supporting the performing arts in this town. He would even playfully let me know when there was a photograph of him in a program book. I was pleased to read the conclusion of the obituary, which advised that donations to PBO, the San Francisco Opera, or the San Francisco Symphony would be preferable to flowers. I am sure that Linda and I are far from the only ones who will miss picking out his distinctive appearance in the audiences for the performances we attend. This past Friday Sony Classical released its latest album of the Alliage Quintett, entitled Lost in Temptation. Based in Germany, this group consists of keyboardist Jang Eun Bae together with the saxophone quartet of Daniel Gauthier (soprano), Hayrapet Arakelyan (alto), Simon Hanrath (tenor), and Sebastian Pottmeier (baritone). As might be guessed, most of their selections are arrangements, some of which involve the collaboration of the entire group. The only problem with this explanation is that there is very little, if any, sense of loss in how those old chestnuts have been arranged. Indeed, when it comes to the “Danse Bacchanale” from Camille Saint-Saëns’ opera Samson and Delilah (which many would probably call the “mother of all warhorses”) Pottmeier’s arrangement may actually have improved on the original. In many ways the sonorities of a soprano saxophone come closer to a “Levantine spirit” than any of Saint-Saëns’ uses of his wind section; and, while the piano is far from a Levantine instrument, Pottmeier gives Bae a relatively spare part, present more for specific colors than for any role in melody, counterpoint, or harmony. It is also worth observing that the album also offers “arrangements of arrangements,” so to speak. Thus, Ottorino Respighi’s three Ancient Airs and Dances suites were all the results of the composer “translating” sixteenth-century lute music. 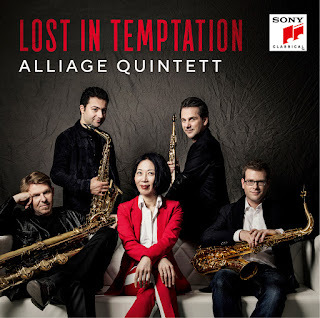 Lost in Temptation offers the first of these suites in an arrangement by Wijnand van Klaveren, which suggested that the arranger had as much respect for the original source material as Respighi did. This resulted in at least a few (if not more) passages where lute sonorities won out over Respighi’s orchestrations; and, of course, the intimacy of the Alliage ensemble has a spirit that owes more to the sixteenth century than to the twentieth. There is also a collaborative arrangement of seven Scottish airs arranged by Gustav Holst. I am less familiar with Holst’s score than I am with Respighi’s; but here, again, there was a sense that the source material had more to do with what Alliage played than did what Holst had committed to paper. Taken as a whole, one would say that this is an album that throws new light on the familiar. However, while many arrangements tend to distort, the Alliage treatments tend to suggest new ways of listening to pieces that we thought we knew “all too well” (as Leporello put it in response to Wolfgang Amadeus Mozart’s self-quotation in the second act of Don Giovanni). Even a selection as familiar as the lullaby that is the fourth song in Johannes Brahms’ Opus 49 collection assumes a new view of mother-child affection. This may not have been the view Brahms had in mind, but it is equally compelling. This afternoon in Davies Symphony Hall, members of the San Francisco Symphony (SFS) presented the latest program in their Chamber Music Series. That program was structured around two substantial piano trios, each the product of a composer that clearly knew how to draw upon influences from the past while still managing to create music that allowed for a generous expression of his own personal voice. Those composers were, in order of performance, Anton Arensky and Antonín Dvořák. The more impressive of these was the playing of Dvořák’s Opus 65 in F minor by violinist Melissa Kleinbart and cellist Amos Yang, joined by pianist Eric Zivian. Dvořák had the advantage of having made a deep impression on Johannes Brahms, whose encouragement included recommending Dvořák to his own publisher, Simrock. It is therefore easy to image that Dvořák would have taken an interest in Brahms’ chamber music. Thus, in 1883, when Dvořák began work on his Opus 65, it would not be out of the question that he would have been exposed (on paper if not in performance) to Brahms’ own second piano trio (Opus 87 in C major, originally published in 1882) and his first string quintet (Opus 88 in F major, also published in 1882). For that matter, by 1883 Brahms had published all three of his piano quartets. This is not to suggest that Dvořák was explicitly trying to imitate Brahms, nor was he using any of these earlier chamber music compositions to serve as a model. Nevertheless, one encounters enough surface-level gestures, even in inner voices, that are likely to resonate with those who know their Brahms chamber music well. At the same time, however, the overall rhetoric positively vibrates with many of the Czech influences we tend to expect in Dvořák’s music; and it is through those influences that Dvořák vigorously establishes the identity of his own expressive voice as a composer. This afternoon’s performers clearly grasped the nature of that identity and could not have done a better job of presenting it compellingly to the audience. Arensky’s first piano trio (Opus 32 in D minor), on the other hand, probably reflects a richer variety of influences. The strongest of these probably came from Pyotr Ilyich Tchaikovsky (which seems not to have gone down very well with Arensky’s teacher at the Saint Petersburg Conservatory, Nikolai Rimsky-Korsakov). Certainly, it is not difficult to detect a “family resemblance” between Opus 32 and the elegiac tone of Tchaikovsky’s Opus 50 piano trio in A minor. (For that matter Sergei Rachmaninoff had composed his Opus 9 “Trio élégiaque” in D minor at the end of 1893, the year before Arensky composed his Opus 32.) The notes for the program book by James Keller also detect the presence of Camille Saint-Saëns (the scherzo from the Opus 22 piano concerto in G minor) and Felix Mendelssohn’s Opus 49 (first) piano trio in D minor. I might also account for a soupçon of Alexander Scriabin in the third movement. Nevertheless, even with all of those influences, Arensky was as capable as Dvořák at finding his own voice in those layers beneath surface-structure similarities. Unfortunately, this afternoon’s account by violinist Diane Nicholeris and cellist David Goldblatt, joined by pianist Gwendolyn Mok, never rose to as compelling a level as that of the Dvořák performance. Much of the problem was that Mok could not keep her dynamics under control and tended to drown out the better part of the cello part. (Given that Goldblatt has at least two successful performances of the music of George Crumb under his belt, I cannot imagine that he is shy about his dynamics!) This resulted in little justice being done to the surface structure and even less to the deeper levels. With another pianist both Nicholeris and Goldblatt would probably have been more effective as advocates for Arensky. On the other hand pianist Britton Day deserves to be singled out for his disciplined command of dynamic levels during the opening selection on the program, a trio for flute, violin, and piano composed by Nino Rota in 1958. This was written long before Rota was tapped to provide music for Francis Ford Coppola’s Godfather films; and, for that matter, the trio also predates almost all of Rota’s work with Federico Fellini. Nevertheless, all three of the movements of this trio serve up a rich diversity of approaches to wit, a deft command of the rhetoric that probably did not escape Fellini’s notice. For this performance Day accompanied flutist Robin McKee (who happens to be his mother) and violinist Mariko Smiley. Both of them appreciated Rota’s capacity for wit but also saw the virtues of taking an understated approach to it. The piano part, on the other hand, had a rather generous share of raucous rhetoric, which ran the risk of overwhelming the other two instruments. Fortunately, Day seems to have caught on to a technique that I recently encountered while reading Theodor W. Adorno’s Towards a Theory of Music Reproduction (actually a scrupulously edited account, provided by Henri Lonitz, of a rich collection of notes and draft versions that Adorno had been compiling before his death). Adorno observed that a loud passage can be identified by its very first notes, after which the player is free to drop the dynamic level in the interest of balancing with the other players. Day exercised a solid command of this approach, allowing those of us on audience side to enjoy the full scope of Rota’s wit. Thanks to Naxos of America, I continue to track releases from Storyville Records, which is the oldest independent jazz label in Europe. As a result it is one of the best labels to follow for those interested in the height of the avant-garde jazz movement during the Sixties. Last April, for example, I wrote about the release of the first public performance by Cadentia Nova Danica at Jazzhus Montmartre in Copenhagen in August of 1966. This album was of particular interest to me since one of the members of the group was alto saxophonist John Tchicai. 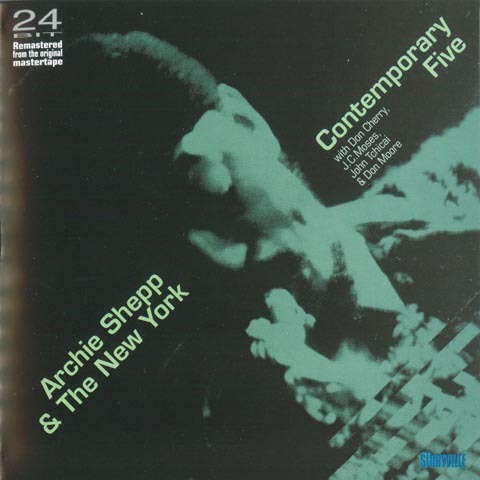 My latest discovery from Storyville is an album entitled Archie Shepp & The New York Contemporary Five, which was released on September 7, 2004. This is another album based on a recording of a session at Jazzhus Montmartre, this time on November 15, 1963. Just to make things clear, the title is a bit confusing, since there are only five musicians on the album. Playing tenor saxophone, Shepp was one of the founders of the quintet in 1962. Furthermore, he remained with the group until it disbanded in 1964. All of the players on this recording are founding members. They include Tchicai on alto saxophone, Don Cherry on cornet, Don Moore on bass, and J. C. Moses on drums. Cherry had been building his reputation as an avant-gardist since 1958, when he began performing and recording with Ornette Coleman. Looking forward in time, after the New York Contemporary Five disbanded, both of its saxophonists, Shepp and Tchicai, became involved, in 1965, in one of the most massive free jazz undertakings of the Sixties, the recording sessions led by John Coltrane for the 1966 album Ascension. In other words it is worth considering that the New York Contemporary Five may have played a pivotal role in the long view of the history of avant-garde jazz. Consider the sources of the selections on this album. Three, “Emotions,” “O. C.,” and “When will the Blues Leave,” are by Coleman, while Cherry’s “Consequences” shows any number of signs of the techniques he cultivated while playing with Coleman. Then, as what might be called an “acknowledgement of origins,” there are two compositions by Thelonious Monk, “Monk’s Mood” and “Crepuscule with Nellie.” There is also Bill Dixon’s “Trio,” which is the first track on a Savoy studio album of jazz quartet music co-led by Dixon and Shepp. That leaves only three more tracks, “The Funeral” by Shepp and “Wo Wo” and “Mick” by Tchicai. Taken as a whole, the album almost serves as a map of the terrain that Coltrane probably explored as he cultivated his interest in free jazz. Once he had that map in his head, he was ready to go over the edges to blaze his own trails. Those of us who listen to our jazz records closely and seriously are probably still reverberating from Coltrane’s impact on free jazz (at least when we are not despairing that the current generation of “young Turks” still does not seem to “get it”)! For those who want to get it, this New York Contemporary Five album would make for a far better start than jumping feet-first into an album like Ascension! Indeed, this Storyville release may even serve to provide beginning listeners with the necessary orientation for taking on at least one significant earlier effort, the two takes by the Ornette Coleman Double Quartet for the album Free Jazz: A Collective Improvisation. St. Mark’s Lutheran Church: Voices of Music (VoM) will present the final concert in its eleventh season, entitled Leonardo da Vinci: A Musical Odyssey. This will be a major departure from the usual approach to programming, since the “spinal cord” of the evening will be a narrative account of Leonardo’s life presented by poet and story teller Lawrence Rosenwald. VoM Directors David Tayler (lute) and Hanneke van Proosdij (recorders) will be joined by a more diverse assembly of performers than usual. They will include two vocalists, Stefanie True and Deborah Rentz-Moore. Shira Kammen will be on hand to play lira da braccio and a variety of other string instruments from the Renaissance period. Viols will be played by Adaiha MacAdam-Somer, Elisabeth Reed, and Malachai Bandy, the latter also playing historically appropriate wind instruments along with Rotem Gilbert. Peter Maund will provide percussion. Composers to be included on the program will include Josquin des Prez, Heinrich Isaac, and Marchetto Cara. St. Mark’s is located at 1111 O’Farrell Street, just west of the corner of Franklin Street, General admission will be $45 with at $40 rate for seniors and members of several of the local early music organizations. Tickets may be purchased in advance online through an Arts People event page. In addition, the Box Office may be reached by telephone at 415-260-4687. Herbst Theatre: At exactly the same time the Bay Area Rainbow Symphony (BARS) will be beginning its tenth anniversary Gala concert. The featured artist for this special occasion will be soprano Patricia Racette, who will perform highlights from Jerome Kern’s score for the musical Show Boat, a medley of songs from the repertoire of Édith Piaf, regarded as France’s national chanteuse during her lifetime, and a selection of other songs. The first half of the program will consist entirely of BARS playing Gustav Mahler’s first symphony under the baton of Music Director Dawn Harms. The entrance to Herbst Theatre is in the Veterans Building, located at 401 Van Ness Avenue on the southwest corner of McAllister Street. For those taking public transportation, this corner is convenient for both east-west and north-south Muni bus lines. Ticket prices are $25 for the Balcony, $35 for the Dress Circle, and $45 for the Orchestra and Boxes. Tickets may be purchased in advance through a City Box Office event page or by calling 415-394-4400. Last night in Herbst Theatre, Chamber Music San Francisco (CMSF) presented the second concert in its 2018 season. The featured artist was tenor Michael Schade, for whom the visit was somewhat of a homecoming, since he is an alumnus of the Merola Opera Program from the summer of 1990. He was joined by violinist Livia Sohn, as well as pianist Kevin Murphy, in the presentation of an evening that had some of the flavor of a Schubertiade. However, if Schade’s intention had been to reflect on the past, his focus was directed about one hundred, rather than two hundred, years ago. He prepared a program intended to reflect on past performances by the Irish tenor John McCormack and the Austrian violinist Fritz Kreisler, “channeled,” for the occasion, by Schade and Sohn, respectively. This was a time when listening habits had not yet been dominated by the recording industry. 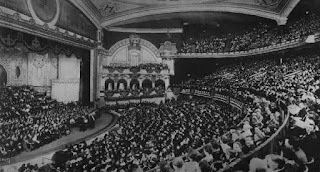 Nevertheless, it was an age of ticket-buying customers, in contrast to the intimate gathering of friends that would constitute of Schubertiade; and both McCormack and Kreisler were some of the “hottest items” at the box office. Mind you, both McCormack and Kreisler made recordings; and they both benefited from the wider audiences that recordings afforded. Nevertheless, they were both performers for whom making music took place before an audience, rather than in a studio in front of a microphone. I am no expert on McCormack’s repertoire; but it would probably be fair to say that Schade’s selection of arias and art songs by George Frederic Handel, Wolfgang Amadeus Mozart, Franz Schubert, and Richard Strauss, along with a few traditional selections, provided a fair representation. On the Kreisler side, Sohn played three of his arrangements but none of his original compositions. She also presented arrangements by Jenő Hubay, Jascha Heifetz, Leopold Auer, and David Loeb. Curiously, almost all of her selections involved operatic music. Between the two of them, Schade was the one who better captured the spirit of the occasion. He consistently showed as much respect for the texts being set as for the composers setting them. He also selected an excellent choice of offerings, in all of which the music captured and reinforced the semantic and rhetorical spirits of the text, rather than simply and slavishly trying to follow some strophic pattern. These were poetic offerings that made the poetry worth reading as part of the listening experience. Sohn’s performances were more problematic. Her intonation never seemed to align with Murphy’s piano, and things were no better when she was performing with Schade. Given the context of the program, she had to confront the demands of a generous number of virtuoso challenges; and she knew how to rise to those challenges without suggesting that she was concerned about overcoming them. Nevertheless, she never revealed any of that sense of rhetoric that Schade conveyed so well, even though, as readers of this site probably know by now, rhetoric is as significant a factor in instrumental music as it is in settings of text. 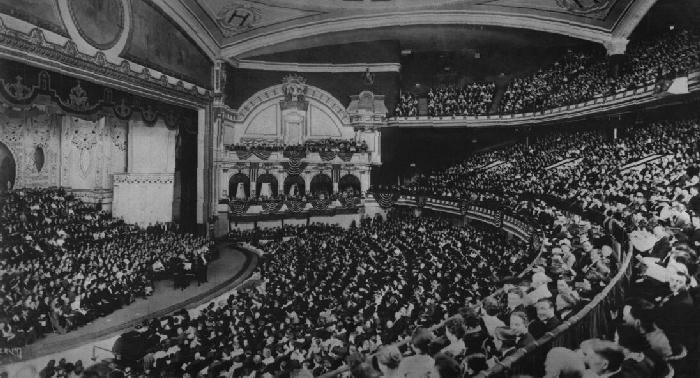 As a result, by the time the program had concluded, one sensed that any effort to revive a century-old spirit had never been able to rise above the level of mild entertainment, after which no particular moments were left resonating in memory. Between now and the beginning of April, the McEvoy Foundation for the Arts (MFA) will be presenting its Spring 2018 exhibition, entitled Stories. The exhibition itself will be enhanced with both performances and interactive workshops. Two of the contributors will be composer Danny Clay and printmaker Jon Fischer, who will be presenting five workshops and one performance based on their ongoing Turntable Drawings project. Readers may recall that this past June Fischer and Clay brought a “progress report” on this project to the Center for New Music (C4NM). Fischer’s contribution consisted of old vinyl records on which visual designs were created, which could change the structure of the surface and the grooves themselves. Clay then provided a collection of old-fashioned turntables on which these transformed discs could be played. 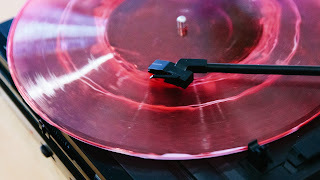 Initially, Clay himself did the playing; but, as the evening progressed, attendees were invited to make their own selections of the records and set them up on one of the available turntables. There will also be a final performance, most likely similar to the one given at C4NM, that will begin at 6 p.m. on April 7 and last for about two hours. MFA is located at 1150 25th Street in Building B. This is about two blocks west of where the Muni T line stops at 25th Street. Because all of these events are being held in conjunction with a gallery exhibition, there will be no charge for admission to either the workshops or the final performance. Just remember that the first working will begin in only a few hours! A little less than a month ago, this site reported jazz pianist Satoko Fujii’s plan to release one new album for every month of this calendar year. This is the year in which she will reach the age of 60 (on October 9), a significant occasion known as “Kanreki” in Japanese; so I have taken the liberty to refer to the recordings in this project as her “Kanreki Cycle.” Sadly, Amazon.com continues to ignore Fujii’s releases; so the best way to track the cycle is to follow the CD Store Web page on the Web site for Libra Records. The cycle began last month with a solo album released by Libra entitled simply Satoko Fujii Solo. This month’s release is from Circum Libra, a joint production of Libra and Circum-Disc; and the performance is by the cooperative quartet Kaze. This group is a rather elegant juxtaposition of backgrounds and styles, which has been improvising collectively for seven years and is still going strong. The backgrounds involve the meeting of Japanese and French personalities, two couples each consisting of a trumpeter and a rhythm player. On the Japanese side Fujii provides rhythm for her husband, trumpeter Natsuki Tamura. 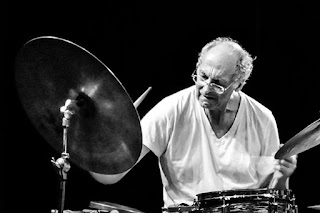 The French contribution to rhythm is drummer Peter Orins, working with trumpeter Christian Pruvost. 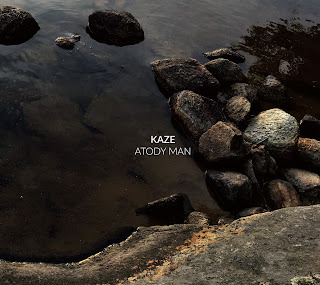 The title of the new album is Atody Man, which is Malagasy for “egg man.” It is the last of the six tracks on the recording. Each of the quartet’s members is responsible for either one or two of those tracks. “Atody Man” was created by Pruvost, while his French colleague Orins was responsible for “Hypnotique Sympathie” and “Méta-Blizzard.” Fujii contributed “Moving” and “Morning Glow,” while Tamura introduced “Inspiration 2.” For those listening with appropriate equipment, Pruvost’s trumpet in on the right and Tamura’s is on the left. However, describing Fujii and Orins as providing rhythm is probably more than a little unfair. Each of these compositions amounts to an improvised conversation in which all four voices contribute equally. What is most important is that this is decidedly not one of those improvisation settings in which each piece starts off in a new direction, but eventually all of the selections end up converging on the same shtick. Between the extensive diversity of approaches to performance on all of the instruments and the ability to endow each composition with its own characteristic rhetorical stance, there is never any hazard of confusing one track with another. If anything, the pendulum swings in the opposite direction. Taken as a whole, the album is about 70 minutes of mind-blowing originality, so intense that the most of attentive listeners may well prefer listening to each individual track in isolation, rather than trying to take in the entire “concert” of the album in its entirety. To be fair however, it should be noted that the contents of the album was recorded (in New Haven) on a single day, June 24, 2017. Concert #1: The featured work will be the world premiere of “Cold mountains, one belt, heartbreak green,” composed by Carolyn Chen for bass flute, violin, cello, and percussion under an SFCMP commission. The program will also present two “legacy” compositions, Galina Ustvolskaya’s “grand” duet for piano and cello (composed in 1957) and Luciano Berio’s 1964 Folk Songs collection. 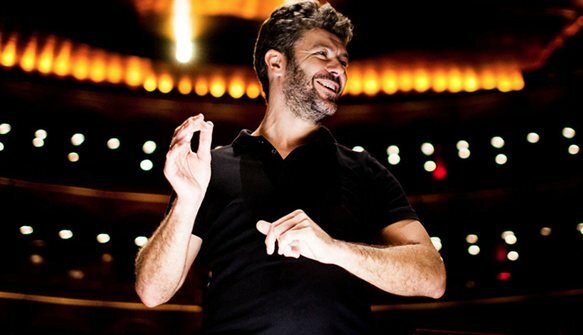 There will also be a performance of Xavier Beteta’s “La Catedrale Abandonata,” composed in 2015. Concert #4: The final offerings will be a performance of Morton Feldman’s 90-minute “Crippled Symmetry,” scored for flute, percussion, and keyboardist alternating between piano and celesta. The first two concerts will take place on Friday, March 23, followed by the second two on Saturday, March 24. On both evenings the first concert will begin at 7 p.m. followed by the second at 9 p.m. All events will take place in Z Space, located in NEMIZ (NorthEast Mission Industrial Zone) at 450 Florida Street. All of these events will be free to those who subscribed to the full season, and members will be entitled to a 20% discount. Tickets for a single concert will be $25 with a $14 rate for students. Tickets for any two concerts will be $40 with a $24 rate for students. A pass for the entire weekend will be $65 with at $38 rate for students. That pass will also include a Farewell Reception and Toast to honor Schick. If purchased separately, a ticket for the reception will be $25. That reception will take place prior to Schick’s recital on Saturday, beginning at 5:30 p.m. The first concert on Friday will be preceded by the final How Music is Made event of the season. There will be an open rehearsal of Chen’s composition at 5:30 p.m., and Schick will engage in conversation with Chen for half an hour beginning at 6 p.m. There will be no charge for either of these events. Z Space has created a single event page for all advance purchase of tickets online. Last night conductor Andrey Boreyko returned to the podium of Davies Symphony Hall to give the first of the three performances of this week’s subscription offering by the San Francisco Symphony (SFS). The intermission separated two compositions by Leonard Bernstein (thus wrapping up the series of concerts prepared for the SFS schedule of Bernstein centennial events) from Dmitri Shostakovich’s Opus 47 (fifth) symphony in D minor. This may seem like an odd coupling of composers; but, as has been previously observed, when, at a time when the Cold War was at its coldest, Bernstein took the New York Philharmonic on a visit to the Soviet Union, he included Opus 47 in his concert programming. Furthermore, these two men had at least one shared interest that both of them took very seriously; and that was the work of the composer Gustav Mahler. The more attentively one listens to Shostakovich, particularly his orchestral music, the more likely one is to find Mahler’s presence lurking, even if he is only hiding in a dark corner. Last night it was clear that Boreyko recognized this “Mahler connection.” This was particularly evident in his treatment to the Allegretto scherzo (second) movement, which found just the right balance between acknowledging all of the sharp edges that are always exposed in a Mahler scherzo and evoking the galumphing of Soviet authority trampling on artistic creativity. That latter quality was, of course, deftly encoded. In 1936 Shostakovich had been denounced by Soviet authorities, due, probably in no small part, to Joseph Stalin’s negative reaction to Shostakovich’s opera Lady Macbeth of the Mtsensk District. The first immediate result was the cancelation of the first performance of Shostakovich’s fourth symphony (Opus 43 in C minor); but this was just the beginning of his being virtually exiled in his own country. Opus 47 was composed in 1937 as an effort to get back in good graces. It seems to have succeeded through prevailing rhetoric of fervid patriotism, concluding with a “heroic” Allegro non troppo movement that knew how to pull all of the right emotional strings. It is also a movement whose coda is, for all intents and purposes, blatant in fervidly patriotic rhetoric. However, before that episode begins, Shostakovich serves up some of his best contrapuntal skills in superposing all of the key themes presented during that movement. That conclusion is but one of many comic moments that season the entire divertimento. All of the movements are so short that they are almost like those little humorous quotations that used to (still?) season the bottoms of text columns in The New Yorker. They are almost all in high spirits, the only exception being a memorial interlude recalling “the conductors and members of the Boston Symphony Orchestra no longer with us.” The BSO players also got to pull off a series of jokes about many of the composers in their repertoire, spanning the history of music from Ludwig van Beethoven to Igor Stravinsky. The whole affair was a delightful hoot given just the right upbeat account by Boreyko. The divertimento was followed by Bernstein’s “Serenade after Plato’s ‘Symposium,’” composed in 1954. As was the case with the 1948 symphony named “The Age of Anxiety” after a long poem by W. H. Auden, any connection to literature (or, for that matter, philosophy) in the serenade is purely coincidental. The music is more about the spirit of an ancient Greek dinner party and the personality traits of the diners. By the time the score has progressed to its final movement, the party seems to have shifted from Athens to Manhattan. Bernstein scored this piece for solo violin, strings, harp, and percussion. The solo was taken by Vadim Gluzman, who has also recorded a performance of this piece. Both he and Boreyko gave the score an honest account; but, when played after that divertimento, each of the serenade movements gave the impression of taking too much time to say what it had to say. Basically, this was music that came off as more serious than it needed to be (as anyone who had the pleasure to read Plato’s own account would have easily appreciated). Once again Intakt Records has released an album of free jazz improvisation for the truly adventurous. The album was released this past Friday, and the title is Music for David Mossman: Live at Vortex London. The album consists of four improvised sets all lasting between ten and 25 minutes. These were all recorded at a single club date at the Vortex Jazz Club (founded in 1987 in London by Mossman) on July 14, 2016. The improvisers are the trio of Evan Parker on saxophone, Barry Guy on bass, and Paul Lytton on drums. Parker and Lytton have been doing free improvisation gigs since 1969, and they started doing trio work with Guy in the early Eighties. In spite of that extensive legacy, none of them have abandoned their commitment to avant-gardism. Over the course of their four sets, they cover considerably imaginative ground. Since all three of them are roughly my age, I hesitate to use phrases like “in spite of their age” in describing what they do. However, I have to say that I am particularly drawn to passages that seem to reflect the interplay of introspection and collaboration, leaving me to wonder whether that rhetorical stance is the result of the “seasoning of age.” What may be more important is that the introspective side allows for an appreciation of the virtues of soft-spoken interactions at a time when the younger generations are more inclined to pour out the decibels in full force. This is music that quietly asks for attentive listening, rather than trying to melt the wax in your ears. The next guitar recital to be presented jointly by the Omni Foundation for the Performing Arts and the San Francisco Performances (SFP) Guitar Series will see the return of two frequently visiting guitarists. Eliot Fisk made his SFP debut in 1997 and will be making his fourth appearance as an SFP recitalist. Ángel Romero was a founding member, in 1960, of the guitar quartet called The Romeros, created by his father Celedonio and also including his two brothers Celin and Pepe. As a result he had an international reputation, which included giving concerts in San Francisco, long before SFP was founded in 1979. He first visited SFP as a soloist in 2008, and the coming concert will mark his second SFP appearance. 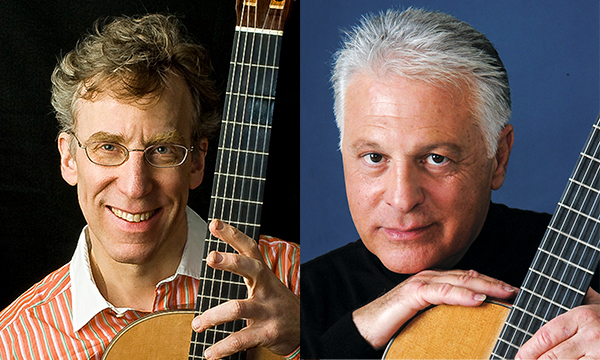 Between the two of them, these artists encompass a broad scope of repertoire. The full extent of that breadth cannot be captured in a single evening’s program. Nevertheless, the diversity of the offerings will be extensive. For example there will be two solo-and-accompaniment arrangements of concerto music by two different composers, Antonio Vivaldi (his D major concerto for lute and strings) and Joaquín Rodrigo (the Adagio movement from his “Concierto de Aranjuez”). In addition Fisk and Romero have collaborated on two-guitar arrangements of settings of popular Spanish songs by Federico García Lorca. As might be guessed, Celedonio Romero will be recognized with performances of his “Malagueña” and “Fantasia.” Several Spanish composers from the nineteenth and twentieth centuries will be included as well. This performance will take place in Herbst Theatre beginning at 7:30 p.m. on Saturday, March 10. The entrance to Herbst is the main entrance to the Veterans Building at 401 Van Ness Avenue, located on the southwest corner of McAllister Street. The venue is excellent for public transportation, since that corner has Muni bus stops for both north-south and east-west travel. Tickets prices are $55 for premium seating in the Orchestra and the front and center of the Dress Circle, $45 for the Side Boxes, the center rear of the Dress Circle, and the remainder of the Orchestra, and $35 for the remainder of the Dress Circle and the Balcony. Tickets may be purchased in advance online through a City Box Office event page. Last night in Herbst Theatre, San Francisco Performances wrapped up its 2017–2018 Virtuosi Series with a recital by flutist Emmanuel Pahud accompanied by pianist Alessio Bax. Curiously, only one of the four sonatas on the program was written for the modern flute. This was the sonata completed in 1957 by Francis Poulenc (first performed later that year by Jean-Pierre Rampal accompanied by the composer). The only other “flute sonata” was Johann Sebastian Bach’s BWV 1031 in E-flat major, which was certainly not intended for a contemporary version of either a flute or a keyboard instrument. Each of these was followed by a sonata written for an instrument other than the flute. Poulenc was followed by Franz Schubert’s D. 821 in A minor, originally intended for arpeggione, while Bach was followed by an early violin sonata in A major by Felix Mendelssohn. In the midst of this diversity, a variety of interesting interconnections emerged. Perhaps the most explicit of these was the way in which Poulenc used the Cantilena in the middle of his sonata to reflect back on the middle movement of BWV 1031, a Siciliano that has been popularized through any number of different versions. However, while BWV 1031 comes across as the more “abstract” of the two flute sonatas, Poulenc evokes more complex emotional dispositions merely through the tempo specifications of the outer movement, Allegro malinconico and Presto giocoso. Pahud’s reading of the text provided an insightful account of both the melancholy and the joyous, always establishing his expressiveness through Bax’ supportive accompaniment. That approach to expressiveness continued through his approach to playing Schubert. Putting aside any of the string-family instruments that usually play D. 821 (primarily cello or viola), the attentive listener could be easily reminded of Schubert’s many gifts in writing for solo voice through Pahud’s approach to the score. Rather than try to imitate any of the effects of bowing or pizzicato (which would have been an absurd undertaking), Pahud’s approach to breath control evoked a singer taking on a setting far more sophisticated than the simple repetitions associated with the verses of a strophic text. In other words the listener could enjoy Schubert for his own sake, but the Schubert skilled in the subtleties of human breath, rather than instrumental technique. The Mendelssohn sonata, on the other hand, did not fare quite as well. One got the impression that the composer was only interested in dexterous virtuosity, more attentive to the notes themselves than to the physical efforts necessary to establish those notes. My guess is that harmonica legend Larry Adler could have pulled off the same score with equally impressive results. Nevertheless, Pahud’s selection provided a sure-fire way to conclude his program in high spirits. Pahud’s encore also departed from the instrumental intentions of the composer. 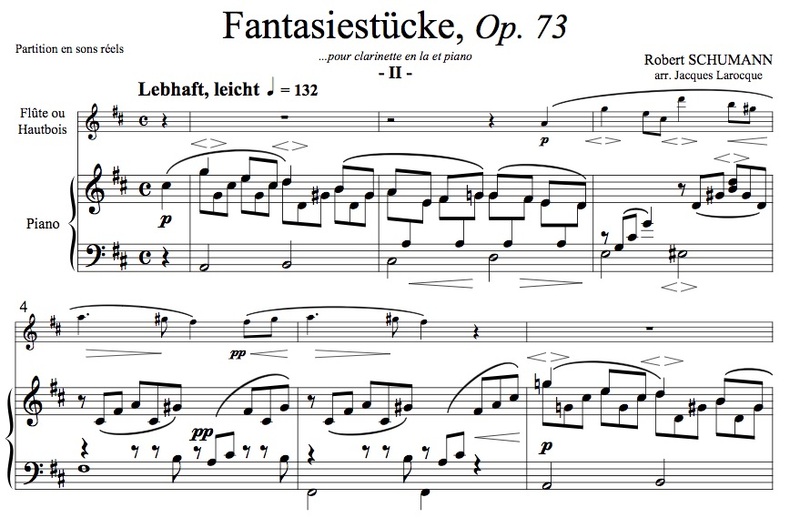 He played the second of the three “fantasy pieces” (Fantasiestücke) published as Robert Schumann’s Opus 73. Schumann wrote these for clarinet and piano but indicated that the clarinet part was also suitable for viola or cello. Probably using the arrangement published by Jacques Larocque, Pahud reflected the higher-register sonorities of the clarinet; but the spectral qualities of his instrument served up a somewhat less aggressive stance than one usually gets from the clarinet. This allowed him to highlight the light touch that Schumann suggested in his tempo marking with a rhetoric significantly different from that of any of the instruments the composer had in mind. 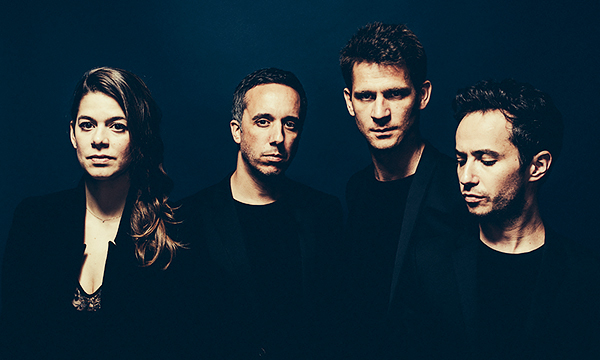 Unless I am mistaken, the Ébène Quartet is the first ensemble to have performed in two different Series offered by San Francisco Performances (SFP). As a string quartet they have performed twice in the Shenson Chamber Series, but they also have appeared in the Jazz Series. When they return to SFP next month, their performance will be the third concert scheduled for this season’s Shenson Chamber Series, and there will be one change in personnel. Three of the founding members, violinists Pierre Colombet and Gabriel Le Magadure and cellist Raphaël Merlin, are still part of the ensemble. However, last year Marie Chilemme joined to become the group’s third violist. Readers may recall that this past Monday the Danish String Quartet introduced itself to San Francisco with, among other compositions, a highly perceptive account of the first of Ludwig van Beethoven’s three Opus 59 (“Razumovsky”) quartets, written in the key of F major. Ébène will follow suit, so to speak, by performing the second (in E minor) of the Opus 59 quartets, once again accounting for the second half of their program. The program will begin with Beethoven’s best known teacher, Joseph Haydn. The selection will be Hoboken III/76, the second of the six quartets published as Opus 76 and written for József Erdődy. This quartet has two nicknames, the more familiar being “Fifths” but also known as “The Donkey.” The Haydn selection will be followed by Gabriel Fauré’s Opus 121 quartet in E minor, completed within months of his death of November 4, 1924 and very much a reflection of the nineteenth-century traditions of his past. This concert will take place at 7:30 p.m. on Friday, March 9. As with all Shenson Chamber Series concerts, the venue will be Herbst Theatre. The entrance to Herbst is the the main entrance to the Veterans Building at 401 Van Ness Avenue, located on the southwest corner of McAllister Street. The venue is excellent for public transportation, since that corner has Muni bus stops for both north-south and east-west travel. Ticket prices are $65 for premium seating in the Orchestra and the front and center of the Dress Circle, $55 for the Side Boxes, the center rear of the Dress Circle, and the remainder of the Orchestra, and $40 for the remainder of the Dress Circle and the Balcony. Tickets may be purchased in advance online through a City Box Office event page. 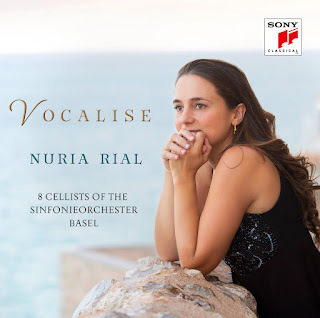 Last Friday Sony Classical released its latest album featuring the Catalan soprano Nuria Rial. The title of the album is Vocalise, and all accompaniment is provided by eight cellists, who are members of the Sinfonieorchester Basel. Those musicians also frame Rial’s performances with a prelude, interlude, and postlude, all featuring a single composer. My guess is that just about anyone with listening experience knows what to expect when you combine a soprano with eight cellists. These are the resources required to perform the fifth of Heitor Villa-Lobos’ Bachianas Brasileiras compositions. This is a relatively short piece in two movements. The first movement is entitled “Aria” and is structured in ternary form. The middle portion is a setting of a text by Ruth V. Corrêa, while the outer sections are wordless (thus constituting a vocalise). The second movement is a vigorous “Dança,” setting a text by Manuel Bandeira in which the poet poses questions to a variety of birds, all of which reply only by singing. Rial brings a finely polished reading to Villa-Lobos’ vocal lines. Indeed, if anything, she is a bit too polished for music that has a decidedly indigenous character. In both of the movements, it frequently sounds as if the cellists have mustered more Brazilian spirit than the soprano. However, this will probably not surprise those who know that Villa-Lobos was, himself, a cellist. While the birds are only described in Bandeira’s text, they play a more active role, so to speak, later in the album with an account of the Catalan Christmas song and lullaby “El cant dels ocells.” Here in San Francisco cello fans have been exposed to two arrangements of this song, the first, played by Gautier Capuçon, arranged by Pablo Casals for solo cello and low strings, and the second, played by Steven Isserlis, by Sally Beamish for solo cello alone. 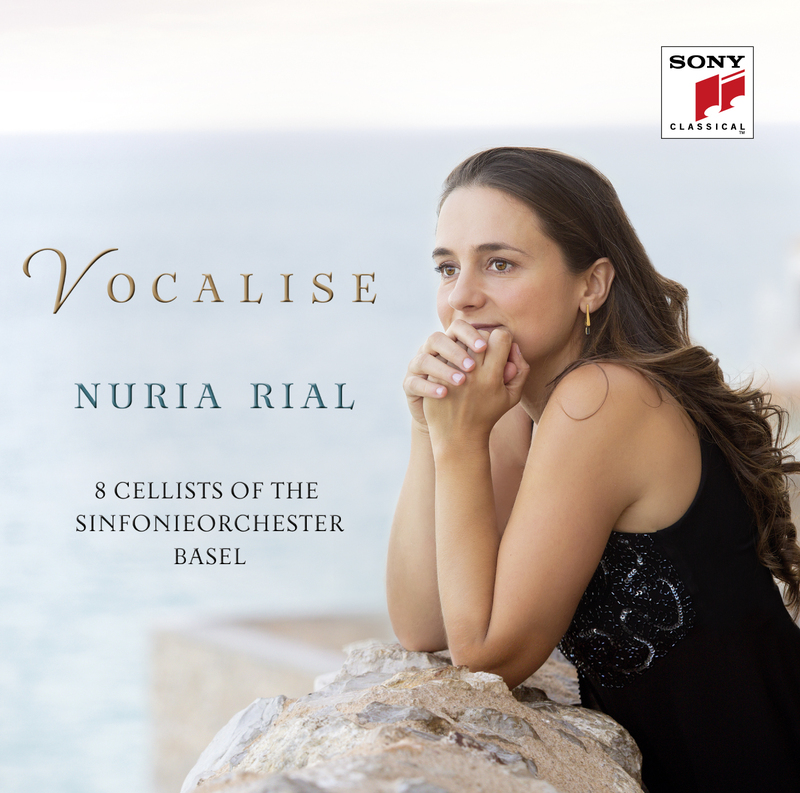 On the Vocalise album we get to hear the words of the song delivered by Rial, accompanied by not only the Basel cellists but also tape recordings of the birds themselves, all in an arrangement prepared by Catalan composer Bernat Vivancos. The album also includes the world premiere recording of an original Vivancos composition, which he dedicated to all nine of the performers. This is a “complete” vocalise piece in contrast to the first movement of the Villa-Lobos work at the beginning of this album. Ironically, he gave the work a punning title, which probably only works in English: “Vocal Ice.” He claims that the music was inspired by Michelangelo’s Pietà carving, which would make punning feel a bit awkwardly out of place. Fortunately, anyone familiar with Michelangelo’s sculpture will appreciate the presence of the artist’s spirit in both the soprano line and the cello accompaniment. To provide a context for these selections, the cellists perform the four Estaciones Porteñas, usually translated into English as “the four seasons of Buenos Aires,” by Astor Piazzolla. The album opens in the summer and concludes in the spring. Autumn and winter provide a “spacer” between Villa-Lobos and Vivancos. Those who have heard this music in ensemble setting are most likely to have encountered the all-strings arrangement that Leonid Desyatnikov made for Gidon Kremer and his Kremerata Baltica. Desyatnikov went for very raw sonorities, including some really scratchy work on the bridge; and then he threw in a few references to Antonio Vivaldi for good measure. The arrangement on this recording is by cellist James Barralet. It is far more polite, but it definitely keeps the cellists in check from trying to upstage Rial! Last night in Davies Symphony Hall, San Francisco Performances (SFP) presented the second of the two events it prepared to honor composer Philip Glass. The program consisted of a single composition, Glass’ first extended work structured over a time span of about 90 minutes, entitled “Music with Changing Parts.” For many decades Glass has been subjected to shallow jibes at what his detractors tend to call “mindless repetition;” so it is probably a good idea to approach this massive undertaking with a clearer sense of just what takes place during a performance. In composing these pieces, I made the musical language the center of the piece. By “language,” I mean the moment-to-moment decision made when a note of music is composed. To make that work, I had to find a music that would hold your attention. I began to use process instead of “story,” and the process was based on repetition and change. This made the language easier to understand, because the listener would have time to contemplate it at the same time as it was moving so quickly. In other words, rather than drawing upon narrative as a source of structure, such as one would find in a tone poem, or any of the preconceived abstract structures of the Classical and Baroque periods, Glass decided to go “back to the basics” of “how time passes” (the latter actually being the title of an essay by Karlheinz Stockhausen). What resulted was a series of compositions based on repeated patterns that would gradually change with the passing of time. Glass was far from the only composer to investigate such a process-based approach. The paragraph from which the above sentences were extracted cites Steve Reich, and one of the other composers from that time finding his own way of working with processes was Terry Riley. Glass’ first major concert took place in January of 1970 in the downstairs recital hall of the Guggenheim Museum in New York. (For the record, I was at the concert. It was a part of a series of three. I performed as a “guest artist” in one of the other two, presented by the Sonic Arts Group. The third was given by Reich; and, sadly, I missed it.) The Glass program presented three pieces all structured around subjecting repeated patterns to change, “Music in Fifths,” “Music in Contrary Motion,” and “Music in Similar Motion.” Each of these pieces was about twenty minutes in duration. Having familiarized himself with his self-made tools, Glass was now ready to work on a more extended time scale. The result was “Music with Changing Parts;” and it was first performed in November of 1970. What is probably most interesting about this composition is the sheer breadth of interpretations of the concept of change that Glass was able to summon. While the underlying pulse is steady throughout the entire work (as it is in Riley’s “In C”), Glass’ approach to change may be described a multi-dimensional. Far from involving just patterns of notes, it delves into different approaches to phrasing, alternations of how pulses are grouped, and different strategies for overlaying simultaneous voices. All of these low-level and mid-level activities are then embraced by “the mother of all changes,” a gradual crescendo that extends over the entire duration to an almost gut-wrenching intensity. What may look abstract on paper emerges as a throughly visceral listening experience. Last night’s performance demonstrated that such an experience could be as intense today as it had been when the music was created in 1970. Nevertheless, in his earliest days, Glass worked with a relatively small number of players, usually less than a dozen. In his notes for last night’s program book, he explained that returning to the score involved revisiting the music and orchestrating it for a much larger ensemble. Six of the players from the earliest days of the Philip Glass Ensemble (Glass himself, his Music Director Michael Riesman, and Lisa Bielawa, Jon Gibson, Mick Rossi, and Andrew Sterman) all participated last night. However, they were joined by four more recent Ensemble members, seven brass students from the San Francisco Conservatory of Music, and the full force of the San Francisco Girls Chorus conducted by Valérie Sainte-Agathe. This increase in resources contributed significantly to clarifying the full extent of the multi-dimensional approach that “Music in Changing Parts” took to that fundamental concept of change. To be fair, one of those more recent members of the Ensemble was Dan Bora, whose performance took place behind a massive mixing board. Microphones were abundant on the Davies stage; and it was clear that, as the layers of activity began to accumulate, Bora was playing an active role in keeping them sorted and accessible to the limitations of human perception. He was probably also the most crucial player in managing that gradual crescendo that serves as “the mother of all changes,” meaning that his efforts were the ones most responsible for the full expressive intensity of the evening. Ultimately, however, the spirit of the occasion has not changed much since 1970. Glass understands how music “lives” only through acts of music-making. Since 1969 he has been hard at work conceiving and reconceiving ways in which acts of music-making may be executed. Last night demonstrated clearly and vigorously that the making of music is still Glass’ highest priority, and that priority could not have been honored in a better fashion. Between now and the end of the month, there will be two interesting concerts featuring students of the San Francisco Conservatory of Music (SFCM). The good news is that both of these events will be free, and no reservations will be required. The venue for both of them will be the more casual setting of the Osher Salon. The bad news is that the first of these involves a last minute announcement. That will be the Junior Recital being given by Alyssa Wright early this evening. Wright has prepared an imaginative program that will involve a variety of instrumental resources. She will present a selection of tangos by Astor Piazzolla performed as violin-viola duos. 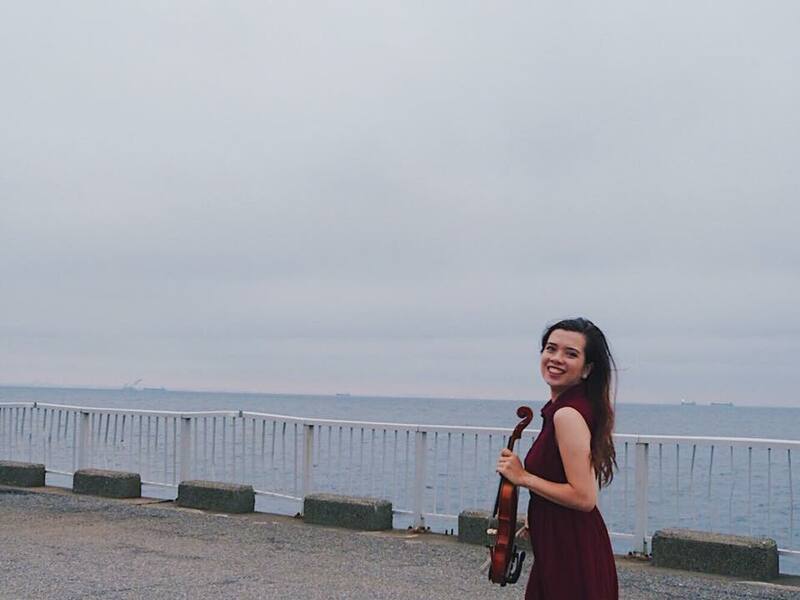 With the more conventional piano accompaniment she will play Jean Sibelius’ E major suite and Pablo de Sarasate’s “Malagueña.” In addition the program will begin with a performance of Joseph Haydn’s Hoboken VII/4 concerto in G major with string ensemble accompaniment. This performance will begin at 6:30 p.m. this evening, Tuesday, February 20; and a reception will follow. Next week conducting student John Masko will present a chamber orchestra arrangement of Gustav Mahler’s fourth symphony. This score was prepared by Erwin Stein for one of the concerts presented by Arnold Schoenberg’s Society for Private Musical Performances in Vienna. Stein conducted the first performance of this version on January 10, 1921 with two following performances on January 20 and January 23. The soprano part in the fourth movement was sung by Martha Fuchs. The soprano for Masko’s performance will be Esther Tonea. This will be the only work on the concert, which will begin at 8:30 p.m. on Wednesday, February 28. Last night in Herbst Theatre, the Danish String Quartet, consisting of violinists Frederik Øland and Rune Tonsgaard Sørensen, who shared the leadership chair, violist Asbjørn Nørgaard, and cellist Fredrik Schøyen Sjölin, made its San Francisco debut. They performed in the second of the four concerts in this season’s Shenson Chamber Series presented annually by San Francisco Performances. The program was framed by two string quartets separated by almost exactly a century, each by a composer who made significant strides in advancing the genre. Between these two major “historical” offerings, they presented selections of folk music from Nordic countries, presumably in their own arrangements. Those significant composers who spanned that aforementioned century were, of course, Ludwig van Beethoven and Béla Bartók. The program began with Bartók’s first (Opus 7) string quartet, which he completed in January of 1909. The second half was then devoted to the first (in F major) of the three Opus 59 quartets that the composer wrote in 1806 for the Russian ambassador in Vienna, Count Andreas Razumovsky. These are the sorts of selections that a string quartet invokes to establish its credentials, particularly when making a debut appearance. By the end of the evening there was no questioning that this was an ensemble with a solid command of both the technical and the expressive. However, because of the overall structure of the program, Nørgaard introduced the evening by noting that all of the selections were rooted in folk traditions. Bartók made his first sketches for his quartet in 1907; but he did not complete it until after his field studies of folk melodies, which he conducted with his colleague Zoltán Kodály. Beethoven, on the other hand, appealed to Razumovsky’s nationality by inserting Russian themes into all three of the Opus 59 quartets. In many ways Bartók’s experiences are more interesting in that one can almost draw a line at the point where the composer broke with nineteenth-century tradition in favor of the folk sources he had been collecting. Indeed, his decision to open with a fugue could easily be interpreted as a latter-day reflection on the fugues Beethoven wrote to begin two of his late quartets, Opus 131 in C-sharp minor and Opus 132 in A minor. However, by the time the quartet has advanced to its second movement, one can sense Bartók’s feelings that he had had enough of traditional forms. (Beethoven was similarly not that all pleased with such forms in both of those two quartets that begin with fugues.) By the time Bartók had begun his quartet’s final movement, he was well equipped to explore new territory; and the results of his field studies provided him with a compass for orientation. Fortunately, the Danish String Quartet did not perform this music as if it were a history lesson. Nevertheless, one could say that their sensitivity to the composer’s technique provided an informed reflection of his mindset. Thus, the final movement was performed with what might be called a definitive sense of arrival, settling into a new rhetoric and enthusiastically exploring where that rhetoric might lead the underlying language of string quartet music. This made for an excellent parallel with the F major Opus 59 quartet. Here, again, Beethoven does not introduce his “folk reference” until the final movement. Mind you, he was not about to sacrifice his long-standing commitment to formal architecture; but, at the same time, he used his Russian theme as orientation for exploring new approaches to rhetoric. In would be both unfair and inaccurate to say that the Danes performed their Beethoven as a parallel to their Bartók, but they performed both quartets in a way that drew attention to how each composer found his own way to explore a new domain. Like many (most?) in the audience, I was unfamiliar with the folk sources presented between the Bartók and Beethoven selections. Nevertheless, there was a clear sense that the Quartet members were playing for the joy of making music (jamming?) together, rather than interpreting marks on score pages. If the music was unfamiliar, the spirit behind that music could still work its magic, bringing a personable atmosphere to a chamber music setting in which character tends to be more on the formal side. That spirit was also present through the encore selection of music by the only named Danish composer of the evening, Carl Nielsen. The selection was described as a song; but it had all the trappings of a Lutheran hymn in four voices, closing of an evening of impressive insights with a calm sense of quietude. Readers may have noticed that The Bleeding Edge did not “go to press” last Monday. Last week happened to be one of those cases in which all events likely to appeal to the adventurous had already been reported. As a result, I decided that, rather than just prepare a list of reminders, I would catch up on preparing previews for other concerts worth of attention in the more distant future. February 20: The performance of Philip Glass’ “Music with Changing Parts” as a belated recognition of his 80th birthday. February 22: This week’s installment in the LSG (Luggage Store Gallery) Creative Music Series. February 24: The performance of “Atlas” by Tawil & Khoury. Tuesday, February 20, 7:30 p.m., Canessa Gallery: This will be the February offering in the Composers in Performance Series curated by the Meridian Gallery. The program will be a three-set evening. The order of the sets is not particularly clear from the advance work, but it appears that things will begin with skratchklang, which is the result of a new collaboration that brings violinist and composer Thea Farhadian together with visual artist Heike Liss. They will be followed by the more geographically dispersed jazz duo consisting of saxophonist Jack Wright, based in Easton, Pennsylvania, and bassist Evan Lipson, based in Chattanooga, Tennessee. The program will conclude with an all-electronic set by Silvia Matheus. The Canessa Gallery is located at 708 Montgomery Street, right on the “border” between the Financial District and North Beach. Admission is between $5 and $20, payable at the door and/or collected between sets. Tuesday, February 20, 9 p.m., Darger Bar: Weird Ear Records will be hosting what appears to be a showcase concert of two of the groups they record. The more familiar group name that has shown up on this site in the past is Angst Hase Pfeffer Nase, whose name is the juxtaposition of four German nouns that translate, respectively, as “fear,” “bunny,” “pepper,” and “nose.” The group is an Oakland-based duo in which guitarist Chris Cooper plays against a variety of electronic creations by Jess Goddard. The other set also involves electronic transformation of guitar performances. However, this one is the one-man project of Stephen Abbate, which he calls Windowpain Industries. The Darger Bar is located in NEMIZ (NorthEast Mission Industrial Zone) at 2700 16th Street, right at the corner where Treat Avenue converges with Harrison Street. Those unfamiliar with the name will miss out on its connotations of “realms of the unreal” (as Jessica Yu put it in the film she made about Henry Darger). There does not seem to be any mention of a cover charge, so it is likely that donations will be both requested and appreciated. Wednesday, February 21, 8 p.m., Peacock Lounge: This will be the February installment of the monthly four-set program of ventures into the weird. There will be solo sets by Thomas Dimuzio, Deletist, and Sarah Lockhart and a duo performance by Zachary James Watkins and Ross Peacock. The Peacock Lounge is located in the Lower Haight at 552 Haight Street. Admission for all will be $5.